It’s 2 a.m. and your throbbing tooth won’t let you sleep: it’s no mystery that you need to visit the dentist. But what about when you’re not suffering from a major problem? Should you see your dentist in East Boston this month, or next? Sometimes professional oral health care gets pushed to the bottom of the to-do list, but visiting the dentist is always crucial. Learn the top five signs you need to schedule an appointment with Brooks Dental today. If you’re not 100 percent satisfied with the appearance of your smile, you should know that you have accessible, affordable options with cosmetic dentistry. 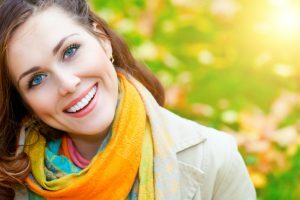 From youthful teeth whitening treatments to porcelain veneers that transform a smile, your East Boston cosmetic dentists have a range of services available to help you achieve your dream teeth. If you’ve seen changes in your mouth, like bumps or sore spots that don’t go away after one week, you need to schedule an appointment at Brooks Dental immediately. These could be the warning signs of something very serious, like oral cancer — and if that’s the case, seeking an early diagnosis can be the key to successful treatment. Not only is it completely safe for pregnant women to visit the dentist, but it’s also highly recommended they do. The mouth’s health can affect and be affected by pregnancy — pregnancy gingivitis, for example, is a gum condition that often appears in expectant mothers. We’re nearing the end of 2015, and it’s a perfect time to remind you that if you’ve got dental insurance, your benefits will expire with the start of 2016. That means if you need to visit the dentist in January or February, you’ll have to meet your deductible all over again — and by that time, it may have risen dramatically. Do your budget (and your oral health) a favor and use up the money your insurance owes you before it’s too late. Twice annual dental cleanings and checkups are vital to good oral health for people of all ages. If it’s been more than six months since you or someone in your family visited Brooks Dental, don’t wait — contact our office to schedule an appointment today. We focus on preventive care to keep your teeth happy and healthy now, and for years to come. Call us today!